IBM® Information Management System (IMS™) provides leadership in performance, reliability, and security to help you implement the most strategic and critical enterprise applications. IMS also keeps pace with the IT industry. IMS, Enterprise Suite 2.1, and IMS Tools continue to evolve to provide value and meet the needs of enterprise customers. With IMS 12, integration and open access improvements provide flexibility and support business growth requirements. Manageability enhancements help optimize system staff productivity by improving ease of use and autonomic computing facilities and by providing increased availability. Scalability improvements have been made to the well-known performance, efficiency, availability, and resilience of IMS by using 64-bit storage. IBM IMS Enterprise Suite for z/OS® V2.1 components enhance the use of IMS applications and data. In this release, components (either orderable or downloaded from the web) deliver innovative new capabilities for your IMS environment. They enhance connectivity, expand application development, extend standards and tools for a service-oriented architecture (SOA), ease installation, and provide simplified interfaces. 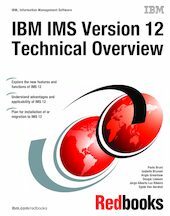 This IBM Redbooks® publication explores the new features of IMS 12 and Enterprise Suite 2.1 and provides an overview of the IMS tools. In addition, this book highlights the major new functions and facilitates database administrators in their planning for installation and migration.